XANA has taken control of the assembly line in the deserted factory. Hervé and Jeremy’s droids, which they have made for the school’s Robot Encounters Day, are fighting one another in the gymnasium. Meanwhile, another much more frightening robot created by XANA turns up at the school, creating panic and mayhem. Our heroes have no time to lose. 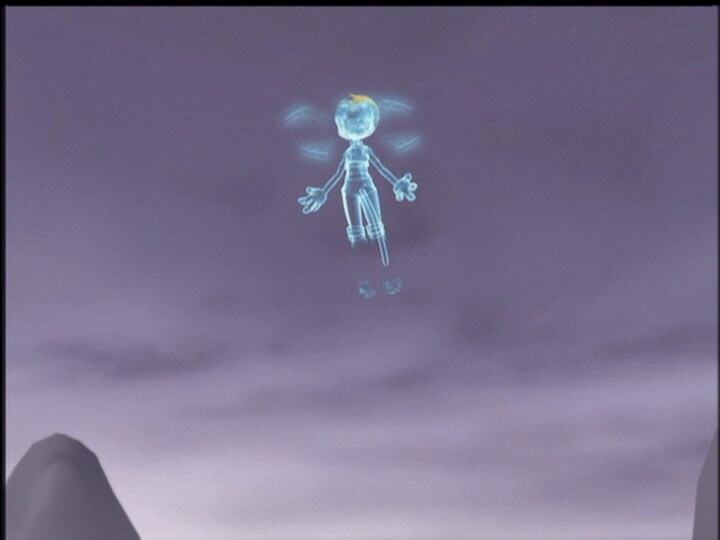 While Odd and Jeremy rush to the laboratory, Yumi and Ulrich try to eliminate the robot which is hot on their tails. 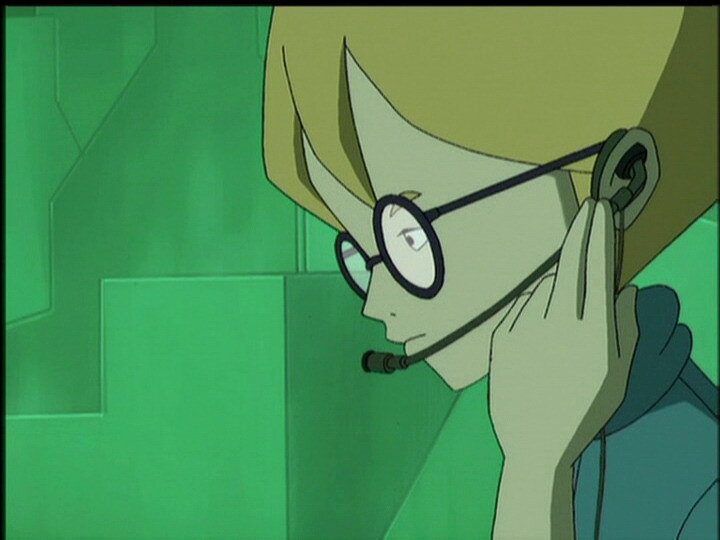 But things are not as easy as they seem: the Robot has destroyed the laboratory, which means that no one can get to Lyokô until it’s up and running again, and Aelita is in danger ! What’s more, thanks to its artificial intelligence and reinforced armour, XANA’s Robot seems indestructible. And Jeremy has to stay in the factory to fix the lab ! Out of sheer desperation, Yumi and Ulrich will have to join forces with the enemy : and ask Hervé to help them! When Herb presents his Iron Sissi to his friends, Sissi contemplates her own caricature and loses it, telling Herb that if he loses the competition, he’ll never forget it… Jeremy has programmed a Kiwi 2, visibly very manoeuvrable and efficient. Jeremy doesn’t have the time to ask about it because the horror concocted by XANA bursts into the gym… It’s a robot made up of various parts from the factory, with two mechanical eyes and a height of around three metres. 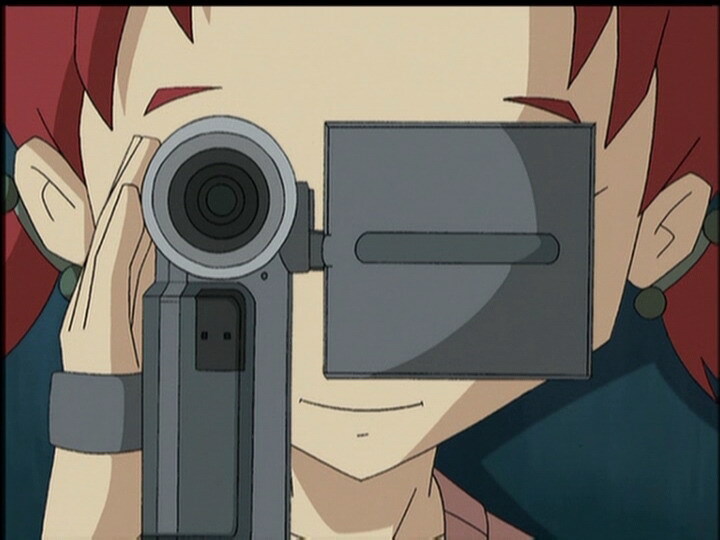 Screaming in terror, the students flee in an incredible cacophony but the robot doesn’t lose sight of its targets: the Lyoko Warriors. Jeremy and Odd decide to go to the factory while Ulrich and Yumi stay to limit the damage. Ulrich and Yumi are driven back by the seemingly invincible robot. They must recruit Herb, threatening to reveal his cheating. Having no choice, the teen builds a mini robot to pierce the shell of the giant and short-circuit it, like with Kiwi 2. The company sets to work. Meanwhile, Jeremy manages to get the scanners working again. 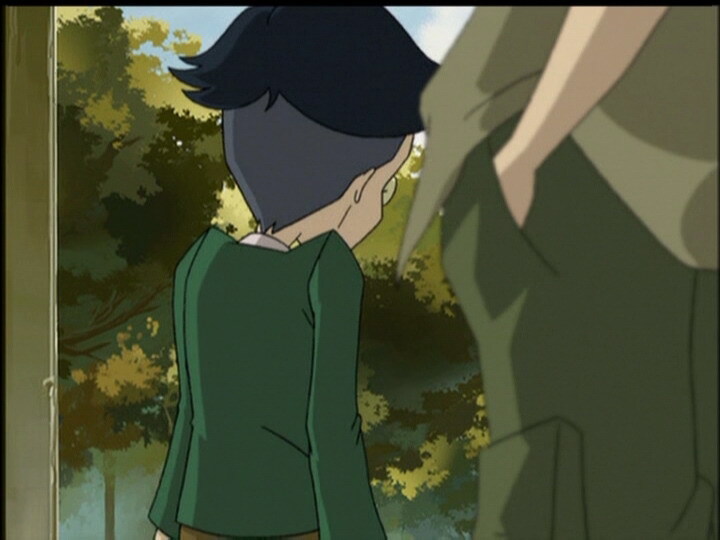 Odd leaves to Lyoko to help Aelita. He’s immediately confronted by three Bloks. Ulrich and Yumi run to the factory but find a new robot blocking their way. 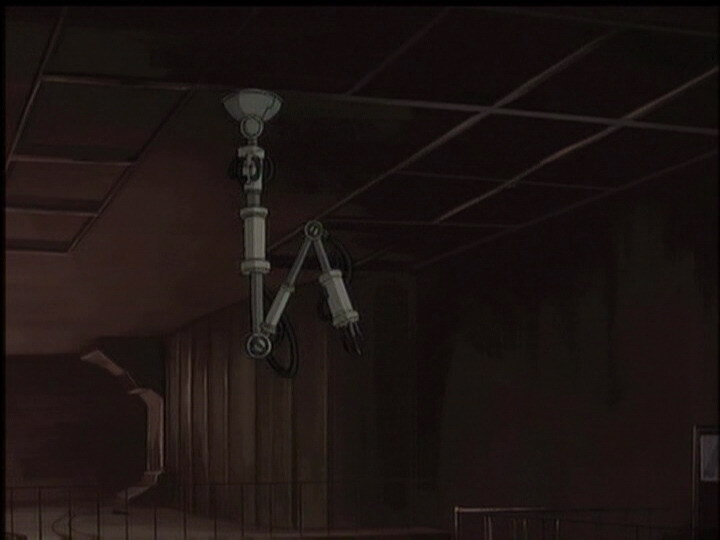 Not able to afford wasting time, only Yumi enters the lift; Ulrich confronts the robot, far more imposing than he. 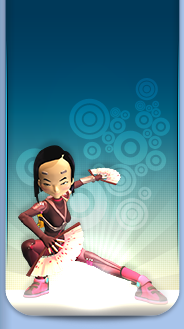 Yumi’s arrival on Lyoko is accompanied by an onset of attacks from enemies in both worlds; in one world laser fire from Bloks and the other, the robot shoots nuts at high speed. Ulrich is in a precarious situation. - Attack: Take control of the assembly lines in the factory to build robot assassins and finish off the heroes! - Return to the past to erase Sissi, Herb, Nicolas and the other students’ memories, and avoid Ulrich’s death. - Jeremy, Ulrich and Odd are in class 8B. - Sissi threatens to kick Nicolas and Herb out of her group if the latter loses to Jeremy; what a great friendship! 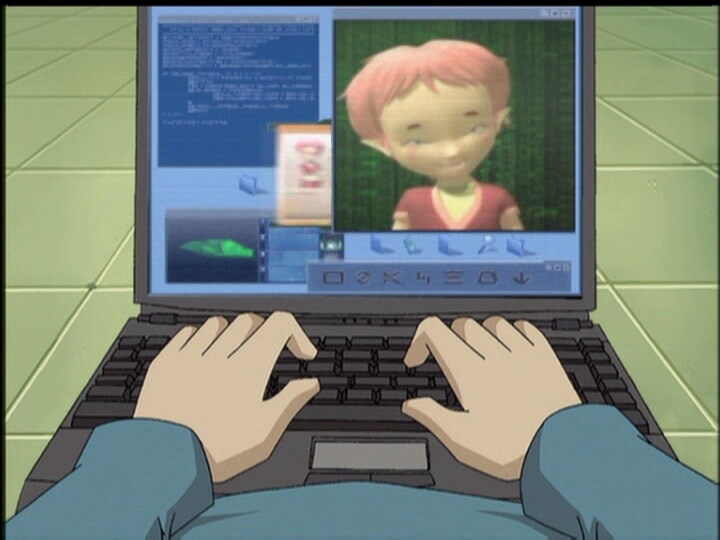 - Only episode in which XANA messes with the connections on the factory computer. - The tower in this episode, on a rotating platform, has a power cable which goes through the ground but doesn’t leave the platform. It’s therefore not connected to the other towers or to Sector Five. - The buttons on Ms Hertz’ lab coat disappear in one shot. - The lift button is in the wrong place when Odd enters and when the doors close. - The bar on Iron Sissi’s head is black instead of yellow at the moment when Kiwi 2 catches the ball first. - When Herb tries out his robot in his room, it’s not his feet we see but Jeremy’s. 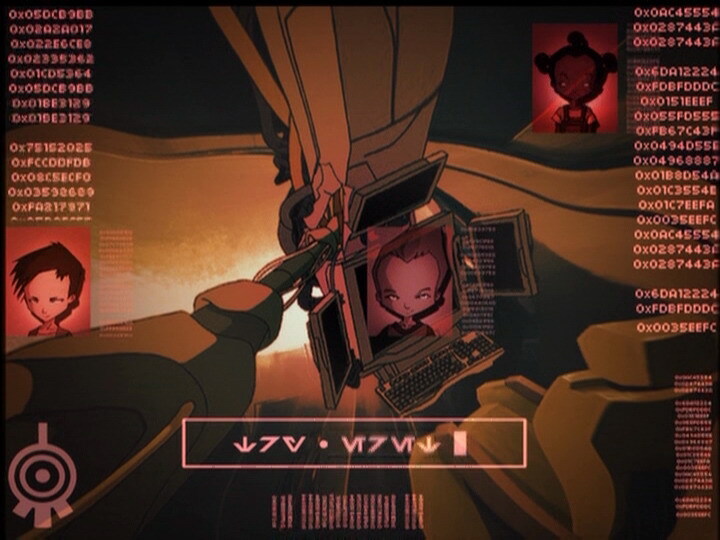 - The factory microphone is in Jeremy’s other ear when he tells Aelita that he’s sent Odd as reinforcements and disappears completely in the following shot. - Thomas Jolivet’s hair changes between the moment where Yumi and Ulrich burst out laughing and where Ulrich tells Odd that they’ll tell him everything. - Jim announces at the end of the robotic competition that class 9B [sic] has PE class, but later in the change rooms, we see Christophe M’Bala who’s in the year above. - Jim says that class 9B has PE, which is supposed to be the class Odd, Ulrich and Jeremy are in, but they are in fact in year 8. This isn’t the first time they’ve mixed up the students’ year groups, another being episode 10, “The Girl of the Dreams”. - Odd’s pants are entirely the darker colour when Jeremy says that the robot has damaged the terminal, and the colours are inversed when he tells Jeremy he’s going to beat Herb, when he connects the two cables and during his transfer. - Herb’s hair is entirely black during one shot in Ms Hertz’ class, while Sissi is being annoyed at him, when he’s happy to have destroyed Kiwi 2 and when he welds the little robot which deactivates XANA’s robot. - The principal’s moustache and eyebrows are grey when we see him and the students applauding, when he says he’s never seen a robot so ugly, when we see one of the photos taken and after the RTTP. - The marks under Nicolas’ eyes disappear when he cringes after Sissi gets annoyed, when Odd says that Jeremy is going to beat Herb, at the moment when Odd calls Herb a sore loser and before Sissi berates Herb. 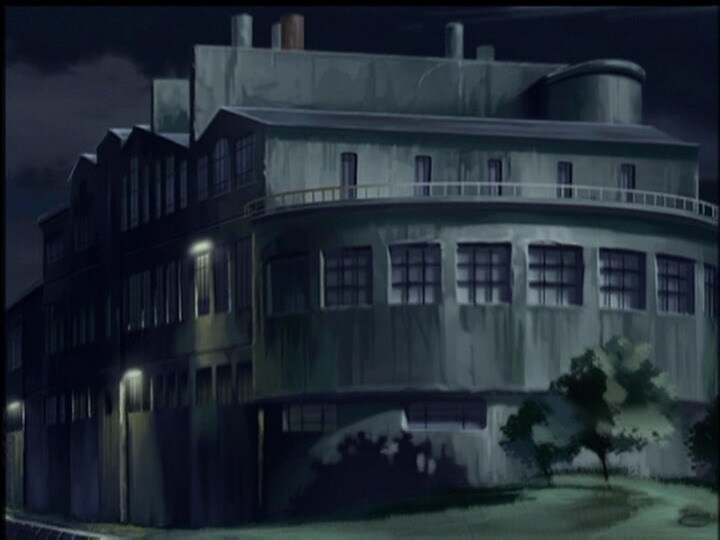 - One of the four doors of the science buildings is open when Yumi and Ulrich stop running, when they were closed before. - During Ms Hertz’ class we can see Anne-Sophie Munier, Anouche Bedoyan, Ninon Coste, Veronica Fayolle and Julie Vigouroux from year 6, and Emilio Rodriguex, Lola Keiffer and Tristan Brossard from year 7. They often change places. Finally, Ninon’s hair is blonde when Ulrich tells Jeremy that he’s ready. 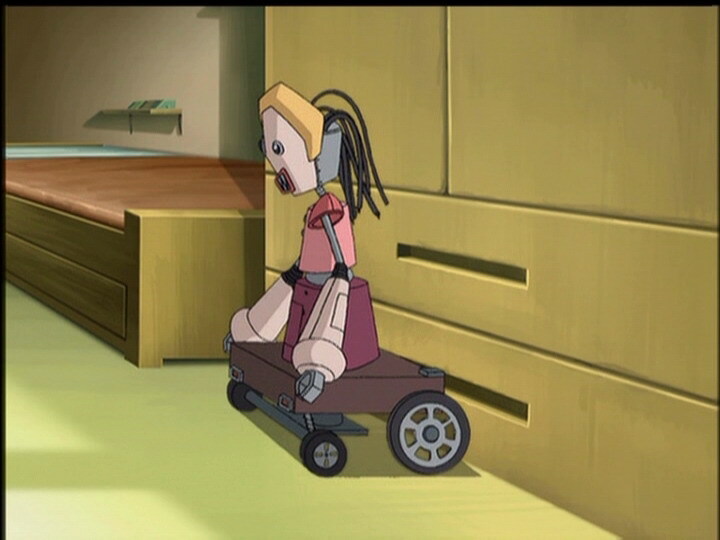 - First appearance of Kiwi 2, a robot made by Jeremy which reappears in episode 86, “Canine Conundrum”. - Second time XANA takes control of the assembly lines in the factory, along with episode 14, “The Trap”. - The robots XANA creates strangely resemble “Terminator,” the metallic cyborg from the saga of the same name. NASA (National Aeronautics and Space Administration) is the government administration responsible for the USA’s space programmes. - The name of Herb’s robot, “Iron Sissi,” sounds a bit like Iron Man, a hero in comic books. Ms Hertz: As I’m sure you’ve noticed, this sheet of titanium is much stronger than steel, which is why it is used by NASA for constructing its space shuttles! Nicolas (to Herb): You should’ve used it for your robot! Ms Hertz: I’m afraid this alloy would be a bit out of your budget range, Herb! Herb: Come and see my masterpiece after school, ok? Sissi: What is that-that horror?! Sissi: Huh? What?! How dare you name that hideous monster after me?! Sissi: It’s gonna win, ugly or not! And if it doesn’t say goodbye to Sissi’s gang! That goes for you too, Nicolas! Jeremy: Sorry…I didn’t have the time to take him out. He needs an oil change every day! 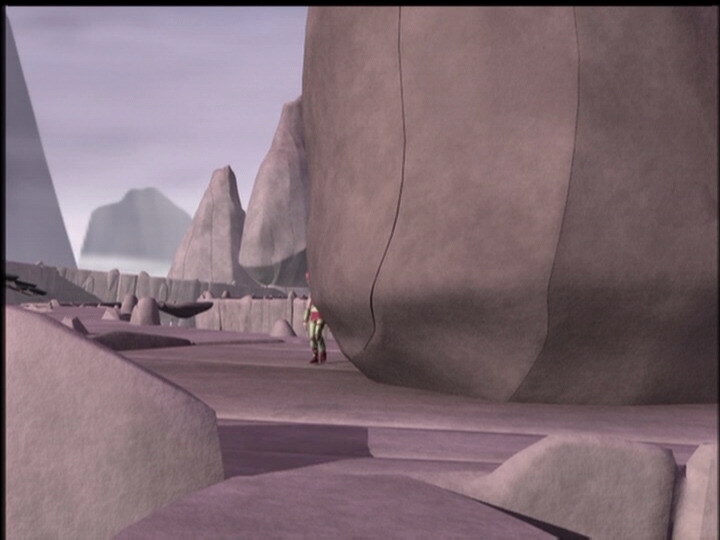 Aelita: But I hope XANA gives you enough time to win the contest! Milly: Jeremy versus Herb, boy, isn’t that original? Tamiya: And the winner’ll be Jeremy…boy, what suspense. Mr Delmas: Very good, but I’ve never seen a robot so ugly! Herb: Well, am I still a part of the gang or what, huh? Sissi: I guess, we did win. But it’s still the ugliest robot I’ve ever seen! Odd: You thinkin’ what I’m thinkin’? 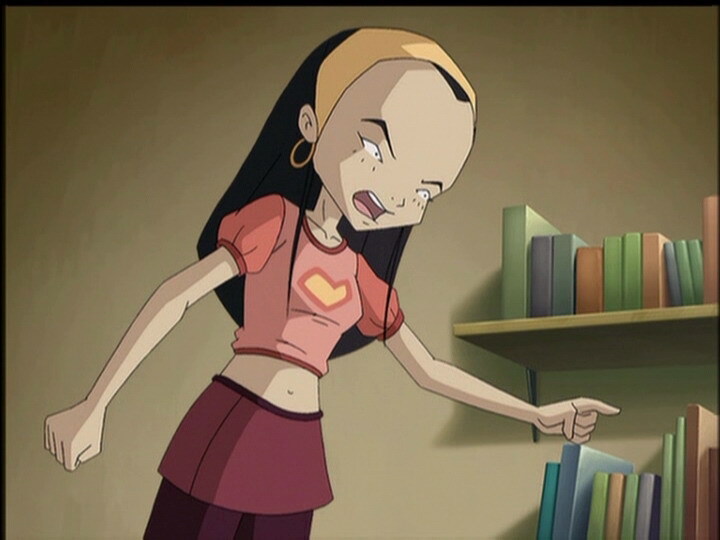 Yumi: XANA…but how could XANA have ever made a thing like that? Ulrich: I wish I knew…but one thing is sure, it’s us he’s after! Ulrich (talking about the robot): He won’t quit! Herb: Let’s hope the robot’s not made of titanium! Jeremy: Odd! Only 50 life points left! Odd: Thanks Jeremy, but who’s counting? 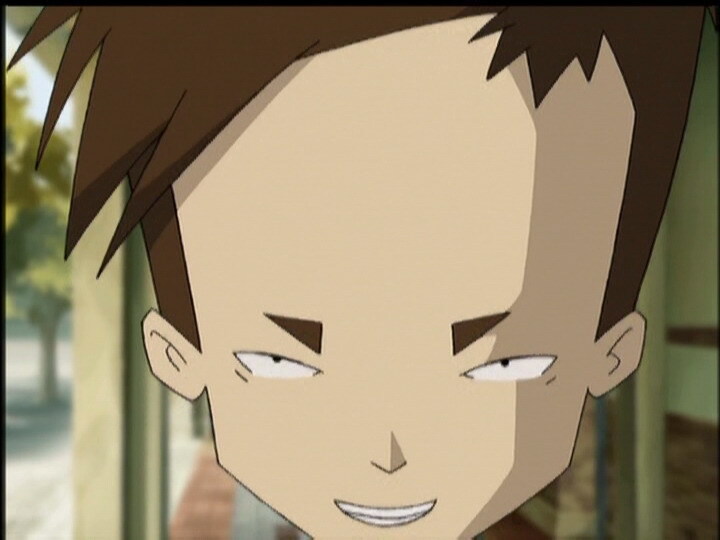 Yumi: Herb, I’ve got to hand it to you, your droid worked miracles! Yumi: Well, I’ve gotta go now, there are a couple of things I’ve gotta do! Odd: Hey, this isn’t exactly summer camp here, tell Ulrich and Yumi to move it! Odd: Jeremy, how many points? Jim: Ok, you two! I want both of you to shake hands, come on! Odd: What a sore loser! Yumi: I forgive him. He’s nice every now and then! Odd: Huh? You mind explaining? Sissi: I knew it! You’re a loser, and so is your robot! It’s as ugly as you are!